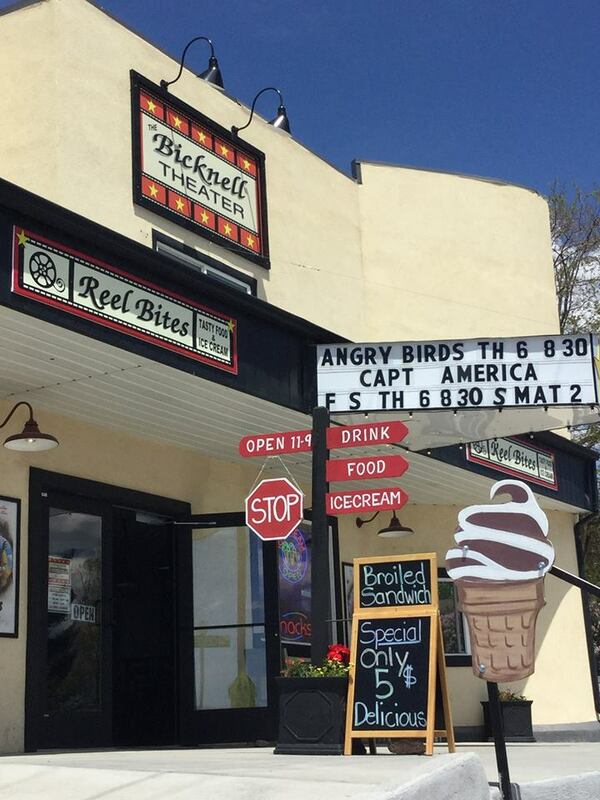 We are a newly remodeled in 2015, historic theater updated with a modern cafe. 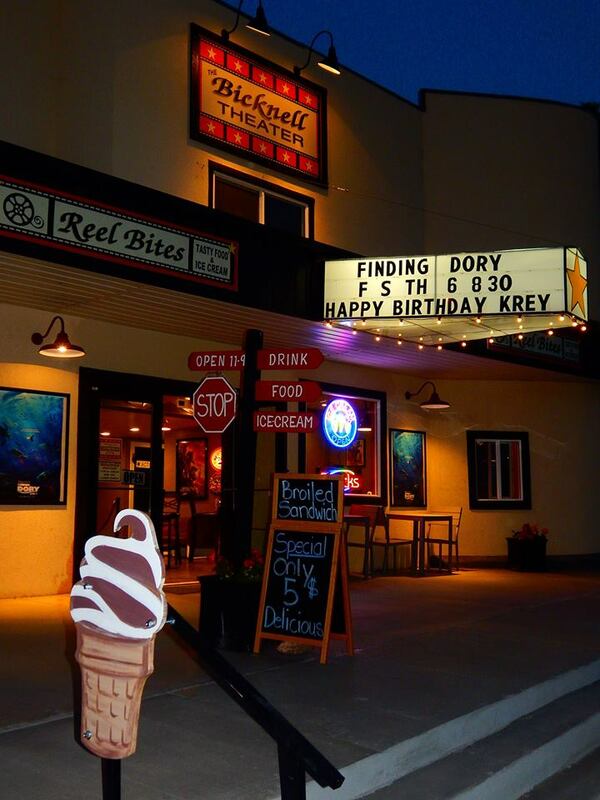 A great theater experience with the special touch of small town hospitality. After signing the contract to purchase the old Wayne Theater in September of 2015, we dedicated 3 months of hard work to renovate and update into the digital age. 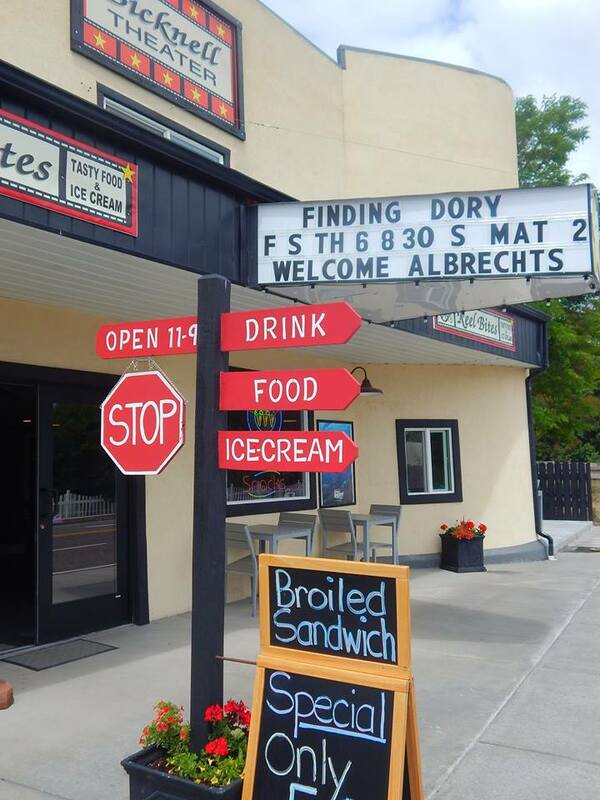 We also added the Reel Bites Cafe to the front lobby. Our Grand Opening was December 25th, 2015 and we have been happily serving the county and visitors since. Our family owned and operated business looks forward to serving you. Read the full story about the history of the theater below. See the photos of our remodeling on the Memories page. 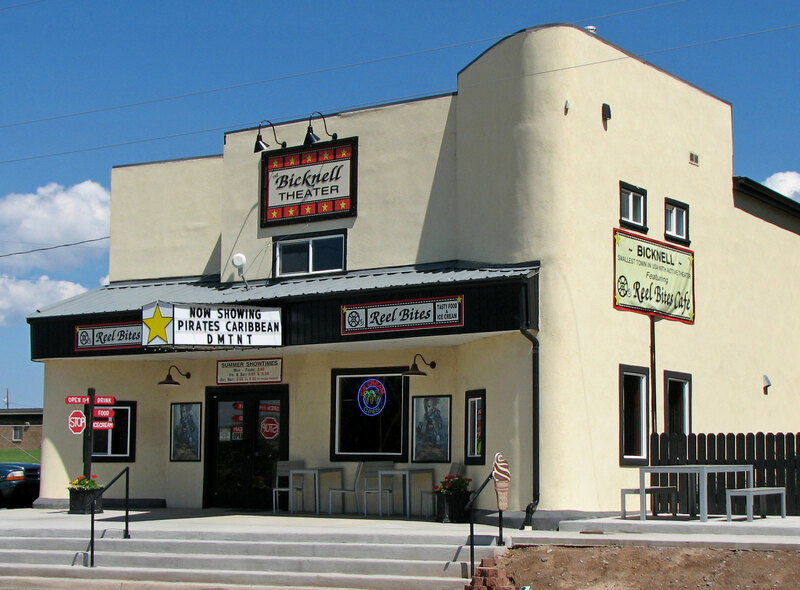 The theatre was built in 1947 by Mable and James Ellett, The Ellett Theatre was one of two theaters they owned here in Wayne County, Utah. The other theatre, The Loa Theatre, was demolished in 2003 and a new hardware store was constructed where it once stood. 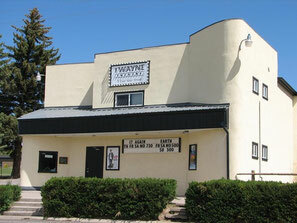 The Wayne Theatre was constructed from rough-cut 12"x8" pine logs from nearby Boulder Mountain, cement and stucco. Its design is based on the International and Art Moderne Style of the late 1930's giving the theatre its streamlined, industrial look. Its auditorium is large by todays small mega-plex auditorium standards. It seated over 300 people and measures 75' by 40' with a small-but-effective lobby. 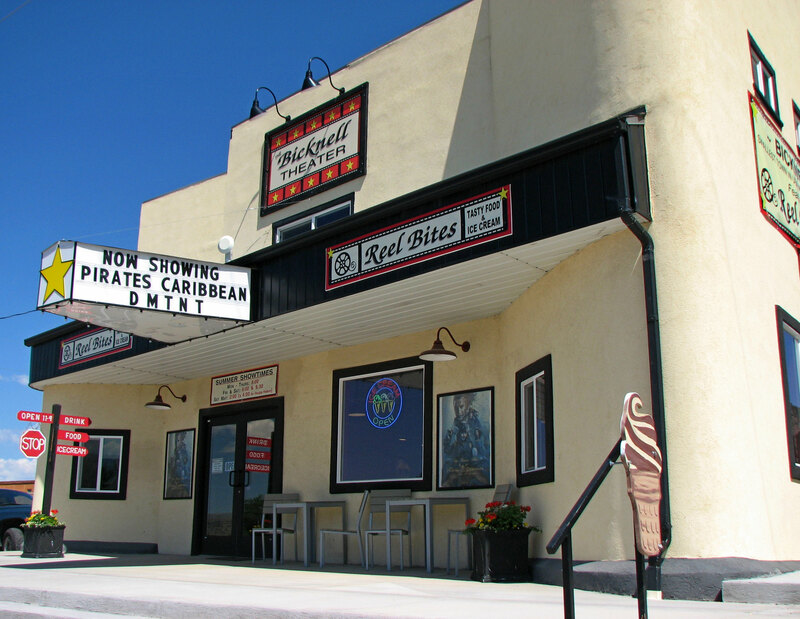 About 1959 when Mr. Ellett had to move out of the County, the theater was operated by Maida and John Giles until 1964. Hilma and Stanley Brinkerhoff and their family then took over the management of the Theatre. They bought the Theatre from the Ellett’s in 1967 and the Brinkerhoff’s changed the name to The Wayne Theatre (after Wayne County, Utah). They repaired and operated the Theatre until 1994 when it was purchased by Nanette and James S. Anderson. The Andersons brought The Wayne Theatre up to date technologically. They added a new state-of-the-art JBL surround sound system, new amplification, new projector and lenses as well as a new heating and air-conditioning system. This little Theatre in the 'middle of nowhere' now rivaled any big-city theatre in terms of the exhibition of film. 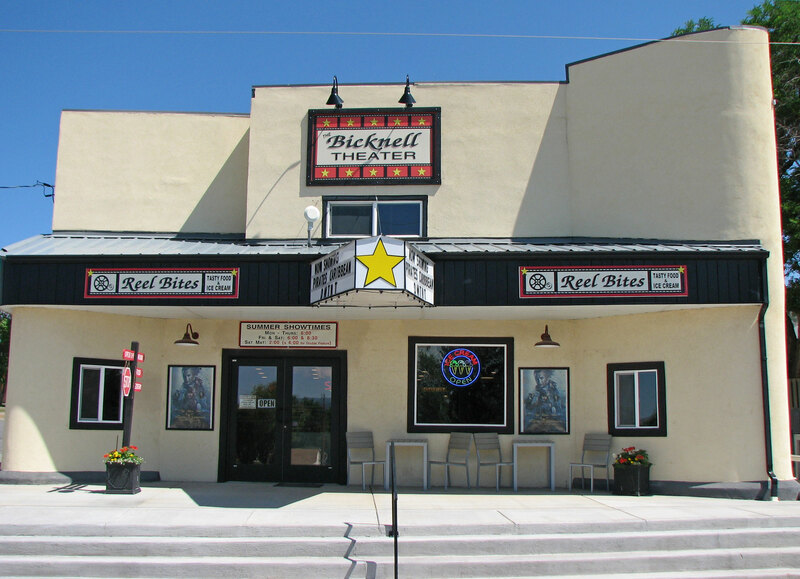 They received a grant in 1999 from the Utah State Historical Society to put on a 28-gauge metal roof, facia and soffit to help ensure the structural integrity of the theatre for decades to come. Many thanks to them! The next upgrade to the Wayne Theatre came in 2003 in the form of reupholstering all 306 seats in the auditorium. The old seat cushions and backs were in good shape cosmetically, but the cotton padding in them had pretty much disintegrated. New fabric and foam cushions and backs were installed, leaving the original Art Deco seat frames in their place. In October 2008, Mr. Tory J. Davis purchased the theatre. 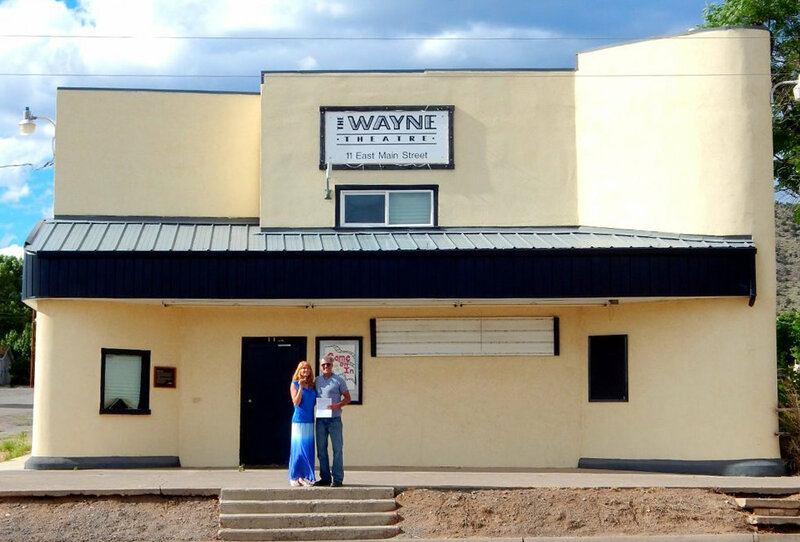 He and his family continued the tradition of the Wayne Theatre up to 2014. Then came the “Digital Age”. Keeping the public served with New Releases became impossible without updating to a digital projector, which was beyond the budget of the theater owners. A Kickstarter campaign was started to fund the move to digital but did not get enough response, so the theater shut down and was put up for sale. Then along came the Brills in the fall of 2015, who decided to bite the bullet and do a full inside remodel and update to a digital projector, along with help, again, from the Utah State Historical Society. Brian Brill, who runs 'Git Er Done' home and yard care service, along with his family and friends, tackled the huge job and really 'got er done'! And fast! They held their Grand Opening on December 25th, 2015. The remodel includes an extended lobby with seating for a small food service called 'Reel Bites Cafe'. The theater seating was upgraded with 'new' used seats from a closed theater in California. And, best of all, they now show New Released movies with their digital projector with upgraded sound system. 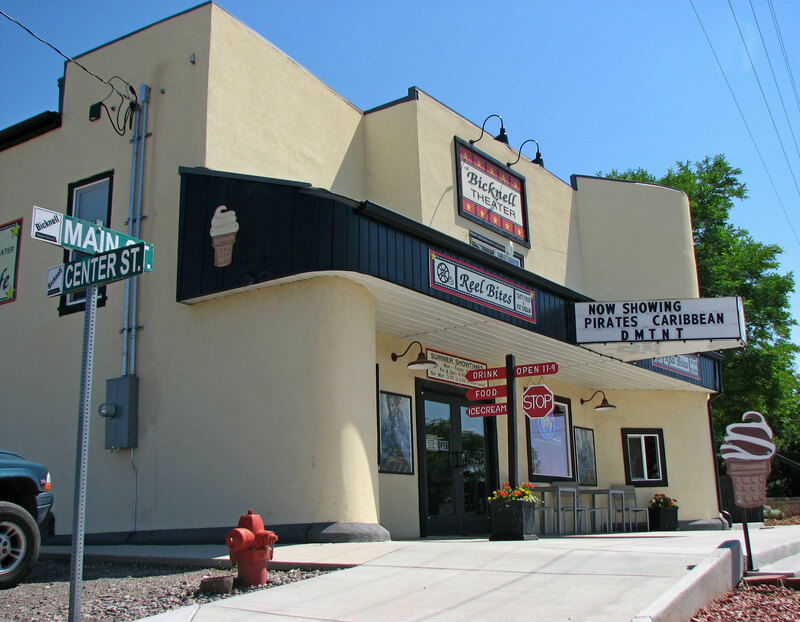 The theater is also a great place to rent for community events with use of the stage and Reel Bites Cafe. 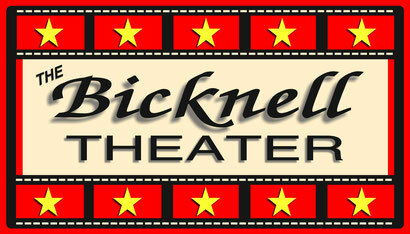 So, that is the story of The Bicknell Theater! We hope you come and support it to keep it going for years to come.